Owned and Operated by Penny Spencer since August 2007. The Vision was to provide a Professional after hour’s solution for Travel companies nationally. Proficient in 3 GDS’s – Sabre/Amadeus and Galileo and support several Back-office systems. We operate 365 days, 7 days a week, we open when you close. 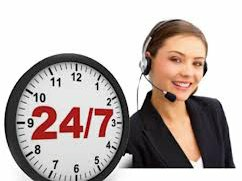 24×7 also accommodate early closing hours for those special events, National and State holidays. We specialise in afterhours Emergency Assistance. Our highly experienced travel agents provide personalized, attentive service that helps your clients breathe easier while on the road — whenever and wherever they are traveling. We’re there for them when you can’t be. We have rigorous hiring standards. Combine our expert staff with our advanced communications technology, and you have an unbeatable emergency travel solution. Just one call will handle essentially any travel concern that your clients may encounter!